Start by consulting your doctor about diet. Always have a positive mindset and focus on your goal. Avoid sugar and fast foods. People subscribe to all sorts of remedies to lose weight, but the only real way is eating well, working out and resting enough. If you wish to lose weight then here are some healthy weight loss tips. If you have any health problem which is concerned with weighty issues it is better to consult your doctor for advice. Remember to start slow and have short term goals to weight loss as it will help you keep motivated and is a healthier option than crash diets. The goal to weight loss should be to reach an ideal weight and not merely for cosmetic reasons. Below are tips for healthy weight loss. If you are looking for ways to lose weight, it is imperative to make right food choices. When there is an imbalance between calories consumed and calories needed or burnt then it gives rise to weight gain. So it is important to make the right food choices and have right portions of it. If you have cholesterol related problems it is good to reduce intake of saturated fats. Intake of carbohydrates would need to be reduced and protein consumption should be increased for healthy weight loss. For a proper diet plan you should consult a dietician or a nutritionist to guide you better and make it sure that you get all essential daily requirements. Overweight people may find it tedious to start an exercise regimen and continuing with it, but it is important to do so. if you have not ever exercised start slow, a moderate pace of walking which you can gradually increase with time is ideal. Exercise is important for everyone be it overweight people or people with ideal body weight for overall fitness and a balanced mental wellbeing. Upon losing weight it is all the more essential to continue with your exercise regimen to maintain the weight. Exercising will help keep various heart ailments, blood pressure problems and diabetes at bay. It is better to consult a qualified trainer for advice. This is one of the most effective weight loss tips. In order to have a healthy weight loss, high levels of motivation is a prior requirement. One can tend to give up easily as soon as one starts but a focused mind and having short term goals will help. Have a support group, be it friends or family who will keep on encouraging you to move ahead of your comfort zone. Be focused on the amount and frequency of exercise you plan to get but be realistic about setting standards. 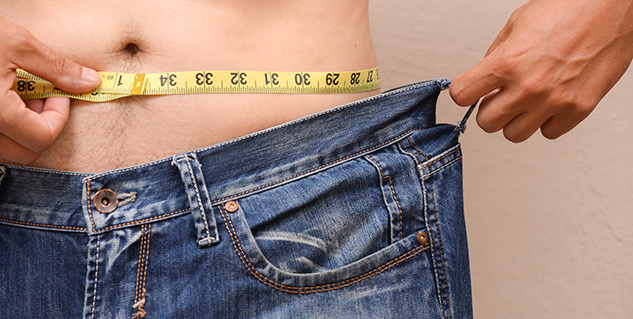 Another effective weight loss tips for men is that they should never skip any meals if they are looking for healthy weight loss as not only it leaves you feeling hungry during the next meal but also it makes your body go on a ‘starving’ phase where it reacts by storing fat. Have small nutritious meals at small intervals, it can be a fruit, fresh juice or low calories munchies. Do not skip breakfast ever. Most of the times thirst can be confused with ‘real’ hunger which can make you overeat. In order to have a healthy weight loss make sure that you avoid this by hydrating yourself with plenty of water as it will help solve your bloating problem and keep you in good health. Stress can cause many people to react in different ways in order to deal with trying situations. Most people resort to binging in order to tide over some difficult times. You can reduce stress with the help of relaxation techniques like breathing methods and yoga or stretching exercises. Stress is the culprit for many problems and being overweight is also one of the issues. So, one of the important ways to lose weight is to keep stress at bay. Refined and processed sugar laden food items like colas and pastries should be done away with. Burgers and French fries are to be completely to be kept away from. Avoid deep fried food items. You may be aware of the fact that alcohol contains a lot of calories and does no good for your health, so what could be a better weight loss tips for men than keeping alcohol away if you do not want a beer belly. In order to lose weight people tend to fall prey to hoax and scams of quick weight loss in from of pills. Such pills have no benefits and can do much harm than good. It is wise to stay away from these weight loss pills to have a healthy weight loss. Before you go out to eat, for a meal or a casual snack, have a glass full of protein smoothie. While it tastes great, it also serves the purpose of making you feel full for long. There would not be a need to binge eat as your body would not be inclined so much food wise. Whenever you go somewhere, park your car on the other side of the parking lot. This facilitates a quick power walk. Moreover, if you are carrying something back, all the better, lest it is a box of sweets. Keep to the mantra ‘Nothing after 9’. This implies no meals or unhealthy food after 9 p.m. Plan the last meal or snack at a time when the body will utilize it before you go off to sleep. It is good to have a cheat day. Usually Friday or Saturday is the most appropriate, since it has been a long week and you need a break. Keep in mind not to overindulge. This is for you to just eat something you usually would not eat during the week. Avoid going to buffets and other such places where there are many food choices since the more food choices you have, the more you will eat, especially, too much of the wrong foods. Avoid eating fast and savour every bite. Try to spend 15 to 20 minutes for eating each and every meal. Avoid eating high-glycemic fruits such as bananas, papayas, mangoes, kiwis, pineapples, honeydew melons, watermelons, cantaloupes, raisins and all kinds of fruit juices. Another weight loss tip for men entails working out on your weekends. It is difficult to find a good enough reason not to work out on the weekends. But if you can find time for it, it implies you are getting closer to your goal. Alternatively, work out after you get through with your work on Friday, before you go out for a binge eating session or a meal out. This way you will think twice about eating and drinking everything in sight Friday evening. Always take the stairs. Doing this a couple of times a day is a step forward toward towards weight loss success. If you feel like snacking, opt for a protein shake, apple with low-fat cheese, orange with handful of almonds, or celery or carrots with low-fat cheese. This will satiate your craving and not add too much weight to the system. Cravings invariably last a span of 15 minutes. Thus, when you have a craving, avoid eating for at least 15 minutes. 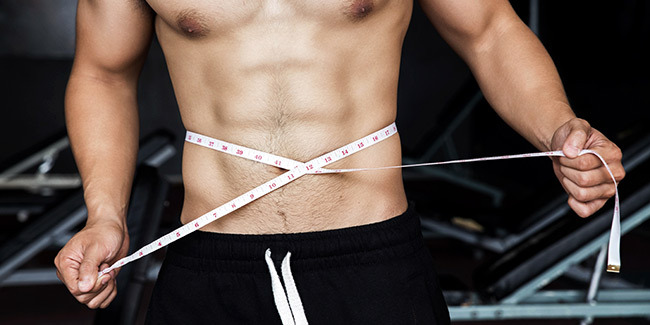 These weight loss tips for men will surely help in the long run.